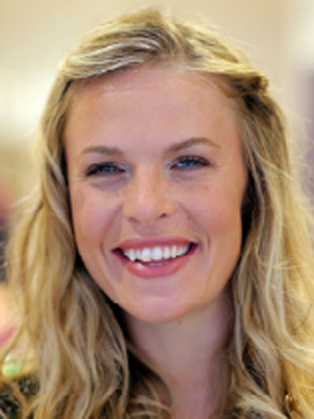 Anna Watkins is an Olympic Gold Medalist and current Olympic record holder after competing in the women’s Double Scull at the London 2012 Olympic Games. The Olympic record was broken during the preliminary heats, with partner Katherine Grainger, in a time of 6:44:33. Anna was introduced to rowing when she studied at the University of Cambridge competing in a number of disciplines such as the coxless fours and single and double scull. Anna has been a regular on the podium and settles for nothing less. In 2004 she had her first taste of Gold by winning the U23 World Championships and from there she cemented herself within the GB Olympic team. The Beijing Olympics was a fantastic learning experience and resulted in a Bronze medal. Since then Anna has forged a formidable partnership with Katherine Grainger in the Double Scull and to this day they are undefeated as a pair. Anna and Katherine had a storming 2010 going undefeated and winning Gold at the World Championships in New Zealand. This was then repeated in 2011 and they now hold the title as Olympic Champions and Double World Champions. Incredibly the pair have won Gold in every World Cup regatta they have entered. Anna and Katherine were named GB Rowing Team of the Year as well as Sunday Times Sports Team of the Year in 2010 and they were again nominated in 2011. Anna and Katherine are the ones to watch in the Double Scull and the pair that all teams will be striving to beat. They have continued to impress and have established themselves as the strongest force in the water. Away from the water Anna is a confident, well-spoken and multi-talented individual who is also doing a PhD in Mathematics. She is hugely motivated and striving to be the best in whatever she puts her mind to.